Gramercy Court brings residents, staff and family together through integrity, teamwork and service. We are committed to providing a living, loving and learning environment. 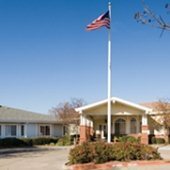 We offer assisted living, rehabilitation services and skilled nursing services. Gramercy Court is an age in place facility allowing residents to stay in one location if their care needs change.